This simple, child's artwork Christmas tree advent calendar reveals a surprise after surprise. I can't wait for my family to start enjoying it! This easy DIY calendar is set on a cork board using simple hand made envelopes and pins. Our favorite winter scene and fun activity prompts will be revealed every day up until Christmas. This advent calendar consists of 25 hand made envelopes. We measured and cut blue construction paper to size and folded each piece in three, glued together to create easy envelops. I taped envelopes together and onto the easel. 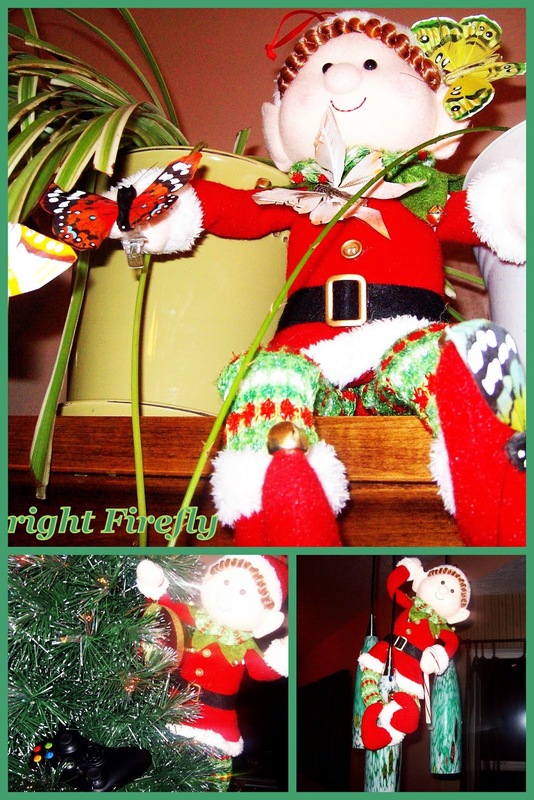 My Firefly enjoyed painting a special Christmas tree scenery for the Christmas countdown. This will be her first advent calendar since she can count to 25. So I wanted it to feature her art work. After the paint was dry, I cut the envelopes apart and set them on the cork board. The other side of this Christmas calendar features our favorite winter scenery. This is a store bought poster (I found it at Michael's) trimmed to the size of the cork board. Three large objects on the poster allow for a nice 25-piece picture puzzle. The puzzle pieces were glued to the envelopes following the order of the Christmas tree on the other side. According to our Winter Snowflakes theme, we decorated the existing white frame with the snowflakes Christmas garland. The numbers are written on snowflakes and pinned to the board with pins. Our Christmas elf has arrived! Find and greet him: he can't wait to see you! It's time to bake cookies! Let's read a Christmas book: (title). A family movie night is today! Which Christmas movie would we want to watch? Breakfast with Santa is today! Let's get ready! I will make some of these cards in advance, but the others will be filled as soon as I'll know the dates. One envelope a day will be turned over and pinned back to the board to reveal our family fun surprises and a piece of the Winter Snowflakes puzzle (pictured below). The number snowflakes are glued to ribbons and pinned to the board together with the envelopes. We used Snowflakes themed wired Christmas ribbon. scene is nice! Snowflakes are twirling in the air, over our special Christmas tree, and slowly falling down - bringing us the numbers for counting down to Christmas. Each translucent and sparkly, wired ribbon was curled and pinned to hang with both ends of the ribbon off the board. I think, My Firefly will enjoy playing with the Winter Snowflakes puzzles and numbers after Christmas too! 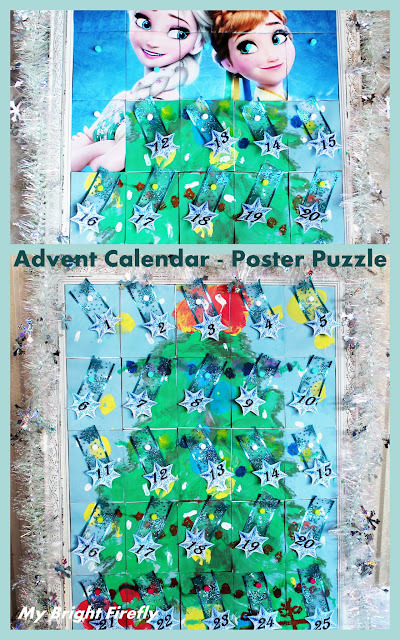 Wonderful Advent Calendar and Countdown to Christmas Ideas! Snowmen Advent Calendar from Rainy Day Mum. These cute snowmen pegs hanging on a ribbon are so easy to make and will let the family smile every day in December. Free Countdown to Christmas with Numbers & Math from 3 Dinosaurs. Free printable: elves will bring kids these cute pages, one page a day to countdown to Christmas. Advent Acts of Kindness from The Mad House. Free printable: the beautiful Christmas stockings bring some great ideas for the acts of kindness and help discovering the true magic of Christmas. Creative Christmas Calendar from The Creative Pair. Free printable: design your own little pictures and messages using Christmas Calendar coloring pages. 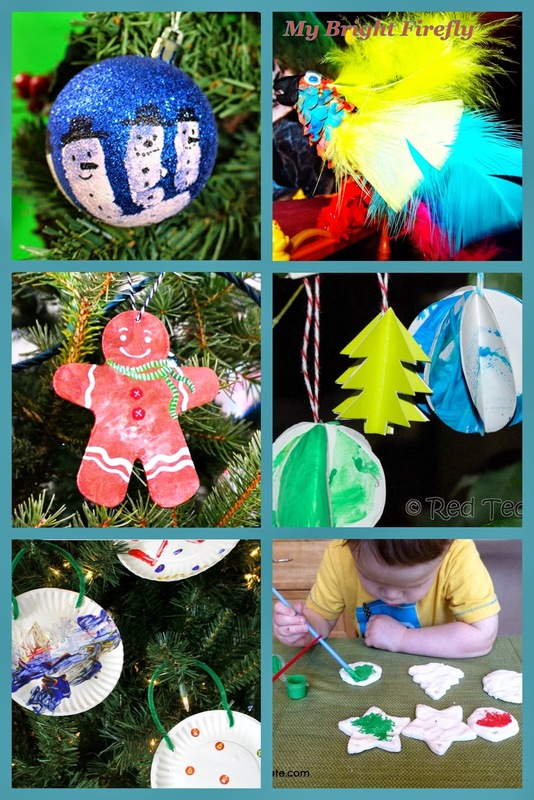 DIY Christmas Tree Advent Calendars from Crafty Kids at Home. Kids made a lovely Christmas tree decorated with secret messages and pictures for each other. Homemade Christmas Countdown from Gingerbread House. Fun Christmas papers and pegs are all that is needed for this wonderful Christmas calendar! Family Activities Advent Calendar from Creative Family Fun. Free printable: pretty printable cards featuring 36 activities and 12 blank cards for the Advent Calendar. How to Make a Fun and Easy Countdown Card from Peakle Pie. 24 buttons, sequins, and stars in a bag are waiting to start counting down to Christmas. Such a fun card! Advent Elf Houses from Sun Hats and Wellie Boots. Cute numbered houses for elves make for a wonderful small world countdown. Christmas Cookie Advent Calendar from Kitchen Counter Chronicles. A sweet twist to the countdown and a cookie recipe are here! Christ Centered Advent for Preschoolers from Tales of Beauty for Ashes. 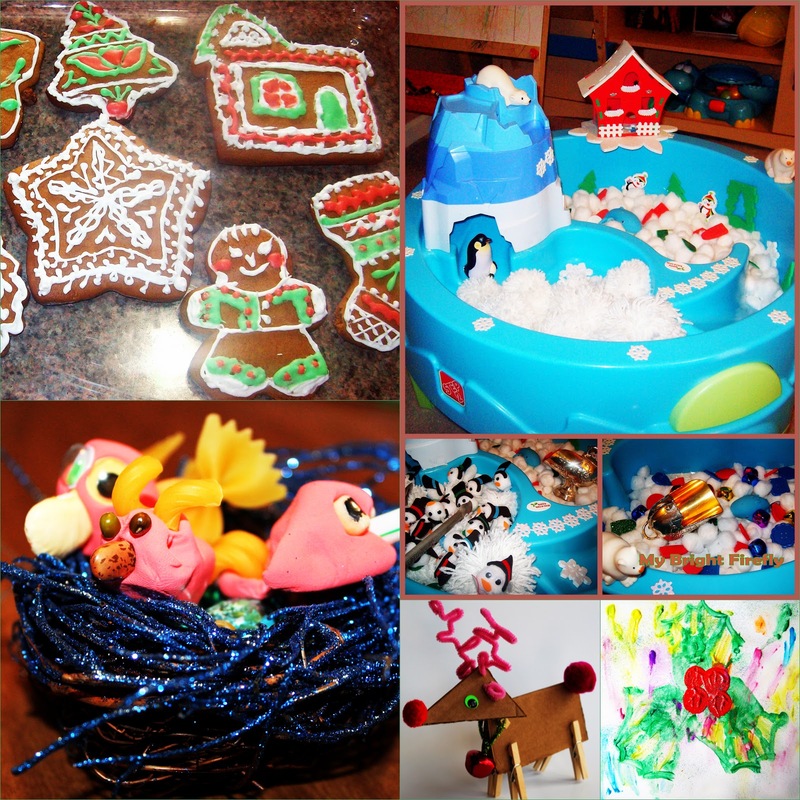 There are wonderful ideas for the family activities, books, and crafts for the meaningful countdown to Christmas. Christmas Carol Advent Calendar from Mama Smiles. Free printable: these beautiful cards feature images on the front and the names of carols on the back. Advent Calendar Organizer: Easy and Fun from Books and Giggles. Free printable: blank Advent calendar planner and worksheets can be helpful in planning for the season! Advent Calendar for Preschoolers from Fun-A-Day. Free printable: this printable calendar features fun activities to celebrate each day counting down to Christmas. Christmas Jokes Kids love 25 Days Countdown Calendar Advent from Little Bins for Little Hands. Free printable: kids will love a new joke each day of this Advent calendar. A Very Merry Occupational Therapy Christmas from Sugar Aunts. Free printable: an Advent calendar for kids with sensory or developmental needs. Some wonderful ways for the families to connect and cope this holiday season. Farmhouse Style Advent Calendar & Card Holder from Teach Me Mommy. Aw, so pretty, Pottery Barn style decorated old trellis! Christmas and the Seven Principles of Kwanzaa from Tiny Tots Adventure. This fun collaborative project got all the family together in a preparation for the holiday season. The Easy Advent Calendar from Freshly Planted. Free printable: versatile and pretty calendar with no focus on activities. Advent Wreath of Christmas Words from Witty Hoots. Free printable: advent words cards. This Christmas wreath looks beautiful and is so easy to make! Easy Christmas Pop-up Card. Painting with Yarn.